The release of the next Call of Duty: Black Ops 4 – Zombies experience, titled Ancient Evil, is just around the corner. 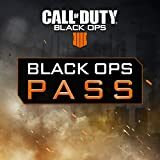 Those who picked up the Black Ops Pass for their console or PC can get the new content beginning on Tuesday, March 26th, 2019. What will it contain? Well there’s a new adventure taking place in a cavern deep under an ancient Greek city full of dusty, creepy new zombies. See the details, a trailer and a poster for the experience below.